If you’re looking for a new flooring option for your home or a new type of paver for your outdoor patio, driveway or pool deck, travertine is one choice you should surely consider. It’s a 100% natural earth product that is formed when water passes through limestone, depositing calcium and releasing carbon dioxide. Travertine pavers have a variety of benefits making them ideal for pool decks. 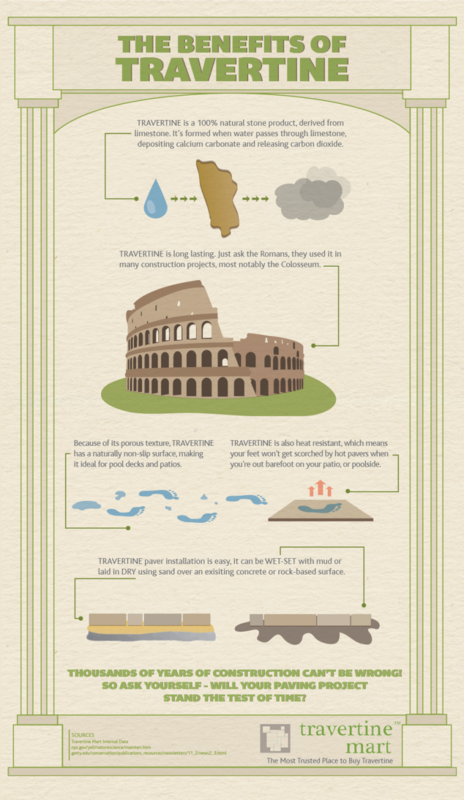 Here is an infographic explaining why you may want to install travertine flooring in your home.